Mar•a•thon Read: \ˈmer-ə-ˌthän\rēd\ [noun] 1. A book that compels the reader to go from start to finish in less than the time it would take to run a marathon. 2. A book read in one sitting. 3. Long distance reading event. Why exactly a book about a midwife did this for me, I have no idea, although I suspect heredity might have something to do with it. 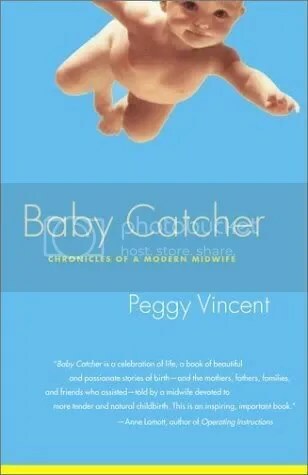 Midwife memoirs are one of my mother’s pet “genres” (along with books about mountain climbers), and after reading a few choice passages to my smaller sister, she is now whipping through Baby Catcher almost as quickly as I did. Each birth is a little drama unto itself, and the chapters disappear like a big tub of movie popcorn. You’r so strangely enthralled you don’t notice they’re disappearing. the book still made me kind of want a million babies. And you thought we had a big family NOW. I kind of want to read this, but not until after my baby is born. I see/hear/read about birthing horror stories and then I make myself all afraid that something awful is going to happen during my own labor. ha. Ohh, you should read it before 🙂 It’s about 95% feel-good and 5% scary… and most of the 5% involved ladies having home births that had complications… complications that would have been readily attended to in a hospital, so if you’re having your baby there, it shouldn’t be too scary!